You know how it gets. One minute you're cooking happily in the kitchen, planning the next round of meals with no small measure of gluttonous anticipation then the next it's a week later, you have been working crazy hours, subsisting on some of the lower forms of junk food and your skin has turned into a map of the Jovian moon, Io. It stuck me how quickly you can lose any semblance of a palate when you get into that frame of mind, that strange food as fuel mentality, when the 15 minutes you might lose cooking some pasta is far too long so you figure you'll just eat the 3 minute microwave macaroni cheese and have done with it. Ok, so it's probably just me, but when you hit those crazy patches and your work life balance resembles a gulag with a water cooler, food is the first thing that suffers. The hard thing is getting back on the culinary horse, so to speak. I'm all for eating horses, but that's another post entirely. Work having finally eased off a bit, I was faced with the prospect of cooking something that I actually wanted to eat, rather than it being the only edible thing within reach. I was wary of anything too complicated, I didn't think that my slowly re-awakened interest in food would survive anything too challenging. In truth, the work thing had come at a time when I was getting a bit bored, a bit tired of cooking, strangely complacent in the food as passion department. So, this was a chance to get back in the saddle (those horses again) and enjoy eating. So, it being the business end of spring I figured I would treat myself to simple things. Re-familiarise myself with singular flavours and tones. Some cold boiled Jersey Royals and a dollop of home made mayo. Some blanched English asparagus and a little vinaigrette. A poached egg. I wanted to get make simple things in simple ways and really enjoy the process of doing them well. Half the fun in the kitchen, in fact most of the fun is the feeling that you are doing things well. It is easy to lose sight of those considerations when outside factors overwhelm you slightly. Once you remember that, once you break the yolk on a perfect poached egg or bite into a tender asparagus then all the pleasure of being a cook, a lover of good food floods back and you start looking in your cook books for horse recipes with a vengeance. P.S. I apologise for yet another picture of asparagus, but hell, it is May! I know what you mean. When I need motivation I pull out my old issues of Fine Cooking magazine or one of my recipe books with gloriously big pictures. That always seems to get me going again. I'm already planning Coq au Vin for Mothers Day when there will four generations of women at the table. I definitely know what you mean and then I get all excited about the perfect boiled egg (those beautiful pale blue Cotswold Legbars) with asparagus soldiers. Delicious! Indeed, you aren't alone in that. I'm just coming out of a serious takeout chinese and cheese quesadilla phase prompted by stress and exhaustion. Cooking and eating are an art, and one must have a certain amount of leisure to contemplate finer things. 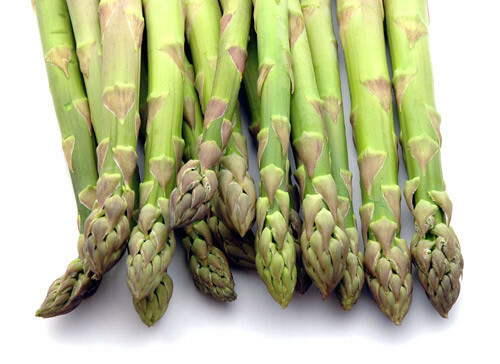 The asparagus season is definately something which jolts most out of any cooking malaise. So simple yet so delicious. Love the picture. A perfect egg dish is sure to do the trick--I always go to them when I'm feeling bleh about cooking. Them and a bottle of good wine. I know exactly how you feel. I try & keep my freezer stocked with a few home made leftover meals for these occasions so I dont end up eating junk food! If there is EVER a time to indulge in something as simple as asparagus + vinaigrette or a poached egg, it's during the summer (I'm writing from LA, so it's pretty much summer here now...most if the time, in fact..!). While you're at it, how about dipping that asparagus spear in that runny egg yolk? Enjoy! i'm going through a bout of this now. but it also applies to being sick of eating out (which, unfortunately, is often with the job situation). It's either crappy places silly people insist upon or the same old same old joints that have gone complacent. No solace anywhere, I'm afraid, kitchen or restaurant. Hopefully I'll snap out of it. I'm willing myself to think of asparagus. Dunno if it's working.